Looking for Xur? We have the location and inventory listings for the Agent of the Nine. Xur is back for another week of exotic selling. We have all the details on the Agent of the Nine, including his location and stock. Make sure you pay him a visit to complete your exotic collection. Xur is in the Winding Cove. 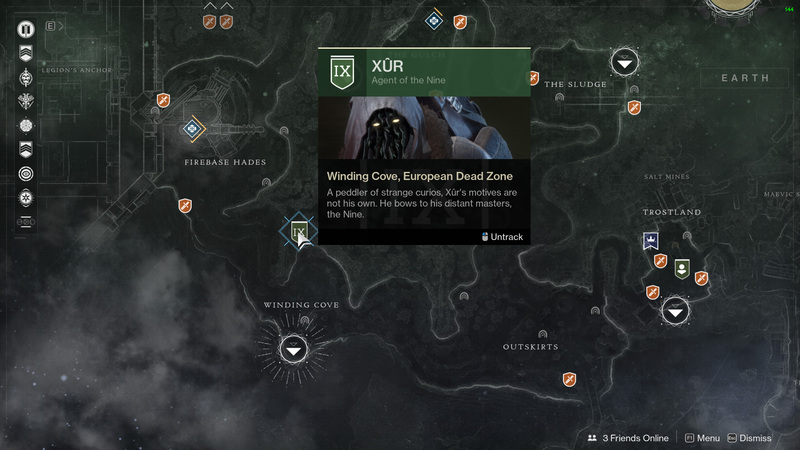 Head to the European Dead Zone and spawn in at that location. You can click his icon on the map to set a waypoint and make your way into the hills. Xur has brought with him the Three of Coins to help you get more exotic drops as you play the game, and he’s got something called the Fated Engram, which is guaranteed to give you an exotic weapon or armor piece that isn’t currently in your collection. The Fated Engram is the one you want. 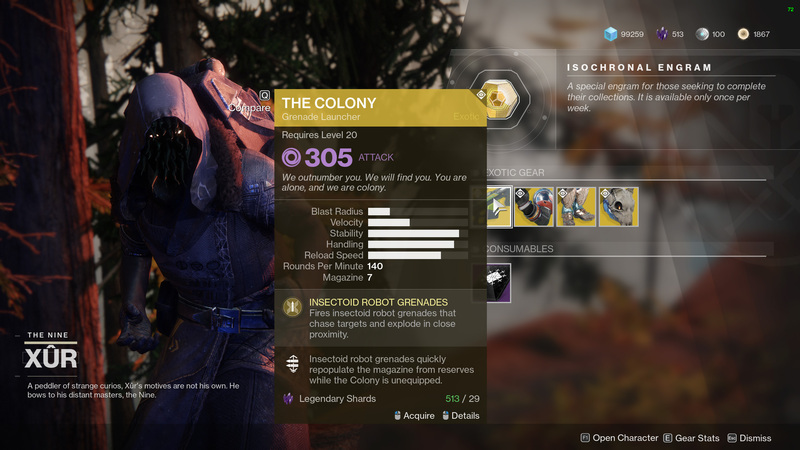 This will provide you with an exotic armor piece that you don't already own. The advice is always to buy what you don't own. You should try and collect all exotics in the game, so just work at completing your collection each week.Because Xur is here for so long now, you should be able to snag everything he's selling that you don't own before he leaves on Tuesday. That being said, buy The Colony. That weapon is one of the more fun and interesting exotics in the game. It will cause players to lose their minds in the Crucible, so that's a plus. That’ll do it for Xur this week. If you need help finding the best use for your exotic weapons and armor, be sure to visit the Shacknews Destiny 2 complete strategy guide.